Hamburg headquartered international ship operator NSC-Group has chosen Marlink to move its fleet of about 60 vessels to high bandwidth maritime VSAT. 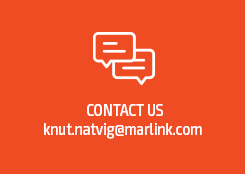 NSC-Group has chosen a 10GB data allowance per month per ship on Marlink’s Sealink VSAT, to ensure sufficient capacity is available across its fleet for all crew welfare and business/operational use. NSC-Group’s diverse fleet, consisting a mix of Container Ships, Multi-Purpose Carriers, Bulkers, Container Bulkers, Car Carriers and Tankers will all experience a significant data speed and capacity boost with Sealink VSAT services, supported by the XChange communications management system and business critical solutions such as SkyFile Mail. Marlink will also provide voice calling services in addition to back-up communication using the existing MSS hardwareon board. 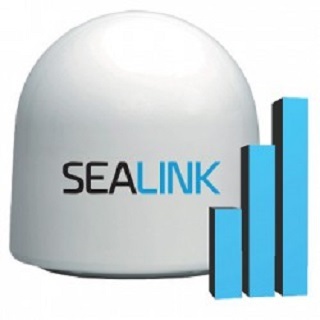 With the roll-out of Sealink VSAT across its fleet taking place throughout the winter, NSC-Group’s crew members will experience a step-change in communication facilities, enabling them to stay in touch with friends and family more regularly, make greater use of Social Media and browse the Internet for entertainment while off shift. NSC-Group also plans to leverage the significant bandwidth and capacity increase across its fleet to take more vessel operations into the digital world, including focus on electronic document handling and interconnected Machine-to-Machine (M2M) applications that can support improved operational efficiency and help reduce the Group’s environmental footprint. Marlink’s advanced XChange communications management system will act as the central hub for each vessel’s VSAT network, enabling NSC to benefit from seamless global service and link management, and Marlink’s portfolio of Value Added Services. NSC-Group has selected the unique XChange Universal Remote Access (URA) service, which provides controlled access to on board devices for remote maintenance and troubleshooting. The service is already in use by several major ship owners who benefit from increased control when 3rd party vendors access the vessel. NSC-Group will benefit from recent changes to Sealink VSAT services. Users on monthly data allowance packages can now experience twice the Internet speed as before (up to 3Mbps), meaning an even faster connection is available on board in addition to a wider range of allowances to choose from. The speed increases will support NSC to use more applications to increase vessel and fleet efficiency, while providing a smoother connection for crew when browsing the Internet or using Social Media.